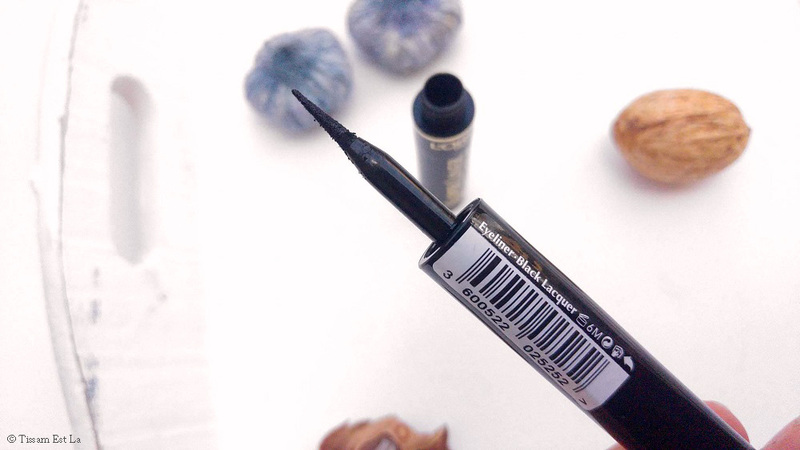 I'm often attracted by the L'Oréal eyeliners because most of the time, they're felt-tip eyeliners and I love this kind of eyeliner. I feel less clumsy with such tips and almost like a pinup when I use them. 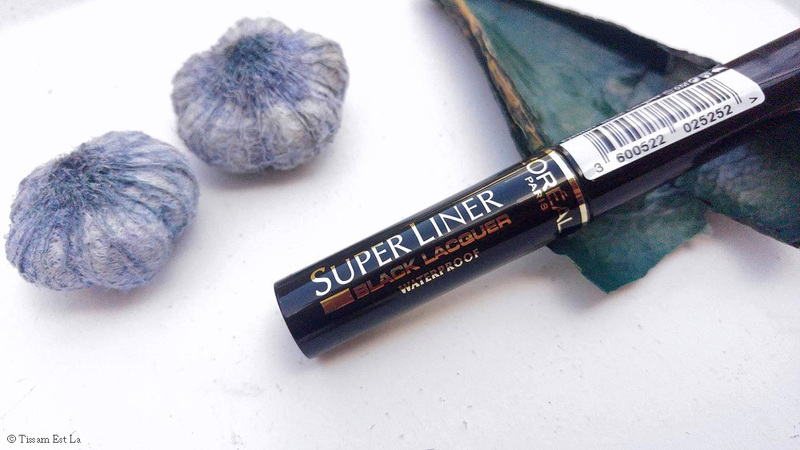 Recently, I found my Super Liner Black Lacquer Eyeliner in my stash and I remember I really wanted this two years ago - I took it out, have been using it for some time but now, was I right in taking it out or what...? Spoiler in the title, hehe. The brush is felt-tip and the lid is not too long nor too short so it's easy and quick to draw a line. But that is L'Oréal's promise. 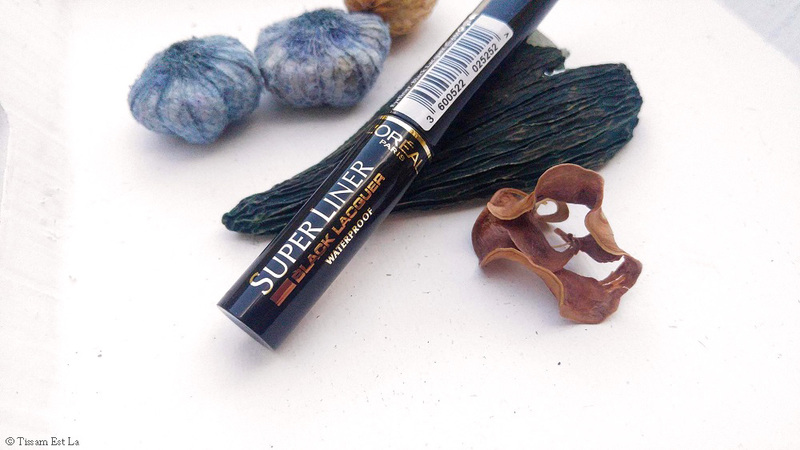 On my part, drawing a line with this eyeliner isn't as easy as I'd hoped and I don't really like this kind of surprises when I start buying makeup that's more expensive than usual (actually, I like spending large amounts of money on eyeshadow palettes and MAC lipsticks - from time to time. For the rest of my makeup, the cheaper and greater, the better - I think anyone would agree on that). 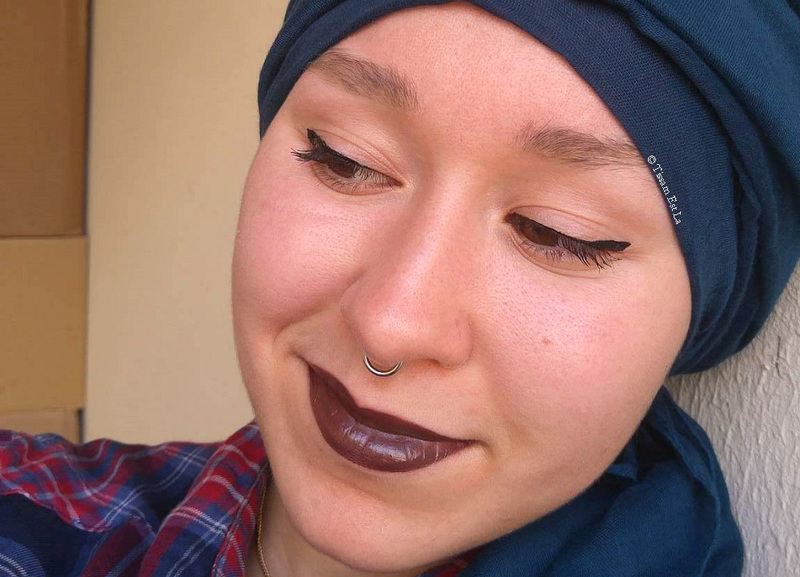 Well, before telling you what I think of this eyeliner, I have to say it is convenient for sensitive eyes and people who wear contacts - that's good to know. The line is ultra-black and vinyl shiny, like they say, it does hold pretty well and is waterproof - but there's no extreme wear on my eyes, 5 to 6 hours max before cracking weirdly on my lids. I really can't picture myself going to work in the morning and finding at lunch break that my line has begun to pack its bags. Drawing a line with this is really difficult. I shake it before using it as is recommended but there are a few things I dislike when I use it. 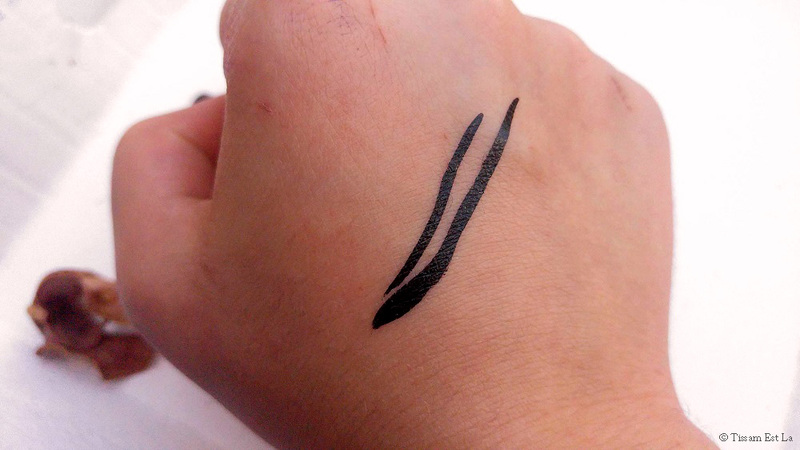 First of all, I have to take some more liquid when I'm only halfway through because the tip dries really fast and "take some more liquid" actually means close the eyeliner, shake it again and then keep drawing whereas the first half of the line is halfway dry. But I'm not an ace eyeliner drawer and so there's always some kind of irregularity where I've started my second stroke. And then I get mad. I don't know if the size of the brush is the problem but I hate that its shape makes inner corner eyelining really difficult and above all, do not insist on the line you've just created - or not created yet either because the middle of the line gets see-through and then you have to wait to draw a second line. So, light hand, light hand. 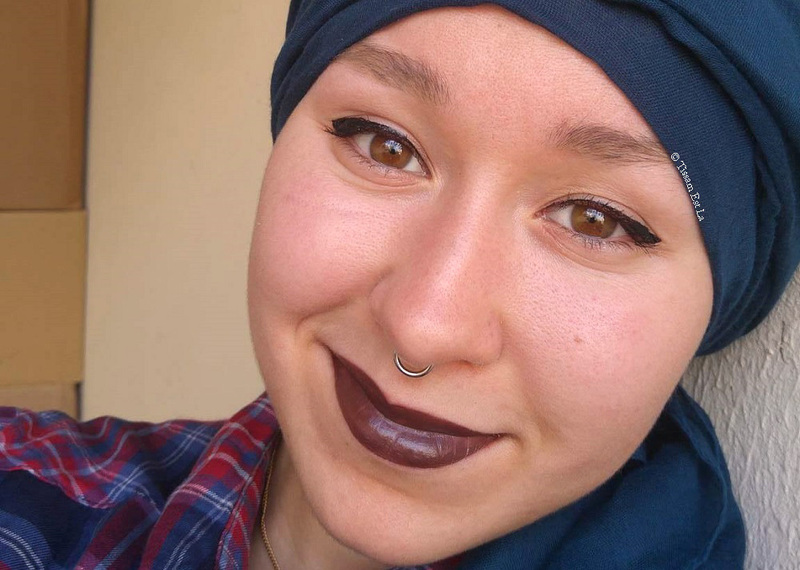 Well, I'm usually a big fan of eyeliners, of all kinds and all colors but not of this one... I almost feel like by paying more than €10 for an eyeliner, I'm expecting a miracle, like an eyeliner that should apply itself on its own ;) I'll keep using this because it lasts a fair amount of time (not an extreme wear on me unfortunately...), for Monday Shadow Challenge looks but definitely not for long work days... Do you know this eyeliner ? Have you found a way of making it work ? Maybe a primer underneath it ? What are you favorite eyeliners ?